Star Hydraulics Ltd design and manufacture durable, high quality Electro-Hydraulic Servo Valves as well as ancillary equipment and have been doing so for over 30 years. In addition to the supply of their own new servo valves, electronics and amplifiers, manifolds and flushing blocks the company also repairs, services and can offer upgrades on valves from many other manufacturers. Standard mechanical feedback valves are inspected free of charge and a detailed repair assessment given for customer review and acceptance. The key to our success is down to the many years of product development in both product design and materials selection, which enables our customers to improve operational life with consistently high performance. Cost of ownership is enhanced not only through lower initial costs, but also through minimal valve downtime. 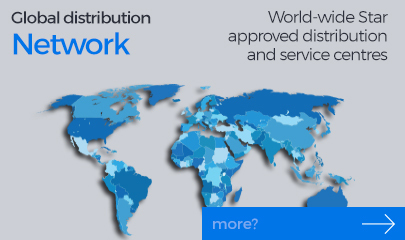 We pride ourselves on the support that we can offer, not only to the OEM but also to re-sellers and end-users in all market sectors around the world in conjunction with the "Star International Distribution and Service Partner Network”. 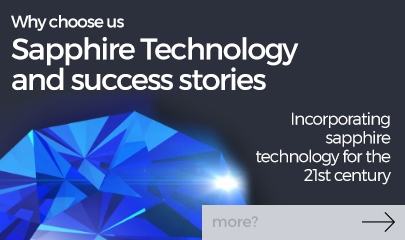 To discover more about our Sapphire Technology™, please click on the link below. 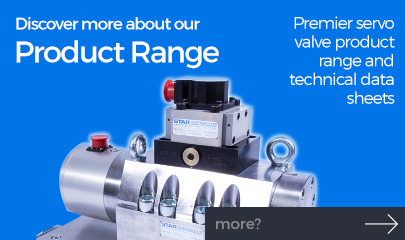 STAR offers an extensive range of flow and pressure control pilot operated servo valves, direct-drive proportional valves, servo actuators, integrated manifolds, adaptor manifold blocks and drive electronics as well as turn-key solutions. Our valve products have a variety of manifold interfaces from single, 2-stage and 3-stage designs offering up to 1,000 l/m flow rates. With current or voltage drive signals and actual spool position available on some models. We use high strength materials for durability for use on a variety of fluid media operating up to 500 bar as well as being suitable for pneumatic applications. 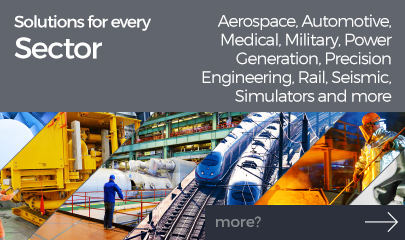 We flight approved designs and explosion proof models for extreme environments. Star Hydraulics was established in December 1983 by Paul Shillam, who recognised the need for an independent servo valve repair facility following numerous requests from servo valve users whilst working at Dowty Hydraulics. Moog (who had given Dowty’s the licence to manufacture servo valves for Europe) initially supported Paul’s servo valve repair business by supplying Star Hydraulics with unlimited spare parts to service and repair servo valves. It is with thanks to Moog that Star Hydraulics Ltd has grown into the successful British Manufacturing Company it is today. Without Moog’s initial support of supplying Star with spare parts, Star Hydraulics Ltd would have never been born. Unfortunately, Moog eventually changed their policy of supplying spare parts to independent servo-repairers which effectively forced Star Hydraulics to develop their own servo components and inevitably a complete range of servo valves. Star’s now famous Sapphire Technology™ has been proven to reduce ‘ball glitch’ - the term given to the effect on the valves performance due to ball wear.This in-house expertise enabled Star to investigate the repeated failures of traditional valves and the wear on a particular component, a tiny steel ball, was found to be the main culprit. Star found that by replacing the steel ball with a Sapphire ball it vastly extended the life of the servo valve. Star’s range of servo valves have proven to be incredibly successful, coupled with hydraulic oil cleanliness & system maintenance training, plus the benefit of Star's Sapphire Technology™, Star servo valves are doing many billions of cycles without the need for repair. I approached Star Hydraulics because we were experiencing high levels of servo valve failures. how to improve the fluid cleanliness of our system. The result was a reduction in Servo valve failures of around 90% reducing related Mill delays. One thing I liked was that they are always there at the end of the phone if I ever need them. I found I learnt a great deal working with the Star Hydraulic Team, I would totally recommend Star Hydraulics. We sent our first two valves for repair to star in April 2014 to see if it was a company to count with. We also sent two to valves (same model, same error) to those we used before. We got the valves back from star in less than half the time, and the price was also in our favour! Since then we send all valves to star for repair.Star are fast, accurate and no complaints about the price! One example: we dismounted valves 24/6 -2015 and they were back in service in our mill 31/6 -2015!!! 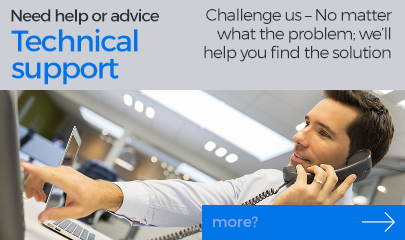 So I can recommend their repair knowledge and skills to everyone. "I think Star Servo Valves are high quality products. Much nicer to deal with than their bigger competitor; better prices, better delivery and reliable. I approached Star because I needed some servo valves reconditioned quickly. Star made the process easy, the great customer service, price and delivery time made the experience of dealing with Star a pleasure. I would certainly recommend Star to anyone who needs their servo valves serviced or repaired. 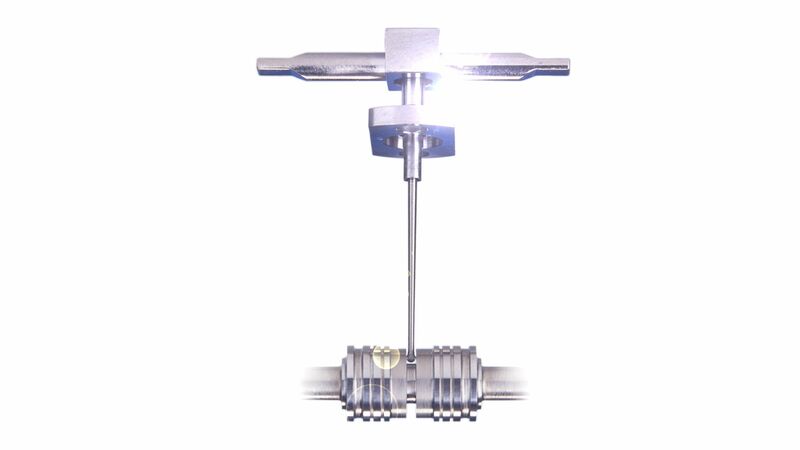 We approached Star Hydraulics for the valve for our dynamic bench top test machine as their products are always of a very high standard matched only by their expertise and customer service. 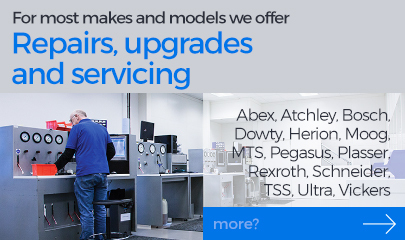 The service and quality from Star Hydraulics enables us to support our customers in the first instance with supplying high quality bespoke goods, and also for ongoing service and support throughout the life of the equipment. We would always recommend Star Hydraulics to any customer with a servo valve requirement.